Eugene is thirty six years of age and studied Medical Orthotics and Prosthetics at the Tshwane University of Technology. During this time he was awarded the Chancellors Medal for Academic Achievement in the department of Rehabilitation and Sport as well as being awarded the Best Overall Student Award on the completion of his studies. Prior to acquiring the practice of Mr. Stephan Kritzinger, Eugene worked as an International Clinical Specialist for world leading prosthetics manufacturer OSSUR, based in Reykjavik, Iceland (www.ossur.com). As a member of the Ossur Academy, he was responsible for education, clinical supportand training of other prosthetic practitionersin Russia, East Europe, The Middle East and South Africa for a period of six years and gained extensive international experience and competencies related to prosthetics and rehabilitation. 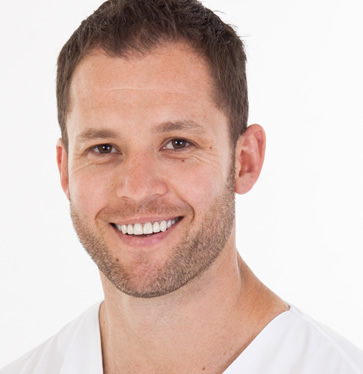 He is a regular presenter on subjects related to prosthetics at Orthotic & Prosthetic Association events. Eugene offers a very high level of prosthetic clinical and technical competence, enthusiasm for the prosthetic rehabilitation process and compassion for each of his patients. Fransien completed her BSc. Physiotherapy honours degree at Stellenbosch University in 2009. 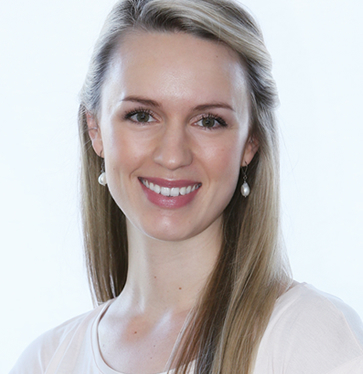 After her community service year started working at Miller & Associates Physiotherapy in Melkbosstrand. During the five years she worked there, she gained invaluable knowledge and experience relating to rehabilitation of movement, pilates, orthopaedic manual therapy and chronic pain education. In 2012 she started with the assessment, treatment and rehabilitation of amputees for Eugene Rossouw. She has developed a keen interest and love for amputee rehabilitation, and uses her knowledge of Pilates-based rehabilitation, kinetic handling and biomechanics principles in the functional rehabilitation of amputees. Eugene Rossouw has also tutored her regarding amputee specific gait training, with special consideration given to the functional implications of various types of prosthetic componentry that may be used, and how it changes the rehabilitation outcomes. Fransien opened her own private practice in January 2016 in Sunset Beach, sharing the premises with (her now husband) Eugene Rossouw. They have formed an enthusiastic and dynamic team aiming to provide the highest level of amputee rehabilitation in a holistic and highly professional environment.